Sun., Dec. 31 at 9pm on WKAR-HD 23.1 | This New Year’s Eve, Live From Lincoln Center rings in 2018 with a celebration of the legendary Leonard Bernstein on the occasion of his centennial year. Broadway stars Annaleigh Ashford (Sunday in the Park with George), Christopher Jackson (Hamilton), Laura Osnes (Cinderella), and Aaron Tveit (Next to Normal) will perform selections from some of the composer’s most beloved musical theater works. Bramwell Tovey conducts members of the New York Philharmonic and Live From Lincoln Center series host Audra McDonald will present the broadcast. Bernstein enjoyed a more than four-decade relationship with the Philharmonic, including 11 years as music director and 21 years as Laureate Conductor. 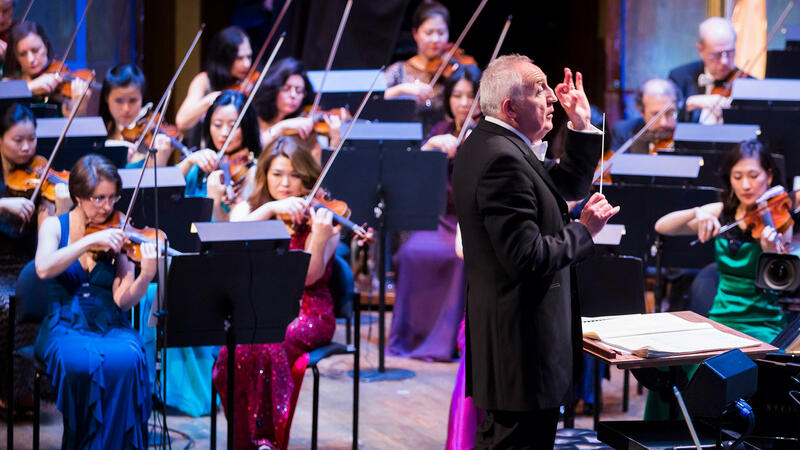 The concert is part of the orchestra’s celebration of Bernstein’s 100th birthday year, and will feature selections from his musical theater compositions, including On the Town, West Side Story, Wonderful Town, and Candide.